SELLER WILL CONSIDER FINANCING!! This updated, extremely clean, very secure & private 3-2-2 gem has so many extras,upgrades and updates..such as new roof,spa area pavers,restructured lanai,hurricane windows & shutters,custom kitchen(maple w/Corian, pull-out trays, under-cabinet lighting),custom-designed master bath (maple w/granite) with walk-in shower, recently upgraded 2nd bath, hot water heater, HVAC, interior wall paint,ceiling paint,epoxy garage floor,disposal,washer,dryer, RO system, plumbing, patio screening, and much more. Light and airy with an attention to detail seen throughout. Protected from sight & noise by the wall along Rockley Boulevard with heavy landscaping that protects the patio and back yard from noise and vision creating a very private setting for wonderful entertaining. No golfers chasing golf balls in this back yard! Private screened patio with built-in custom heated spa made for private entertaining. fully gated community with noise and privacy wall protecting this property allows only natures animals as your rear yard guests. 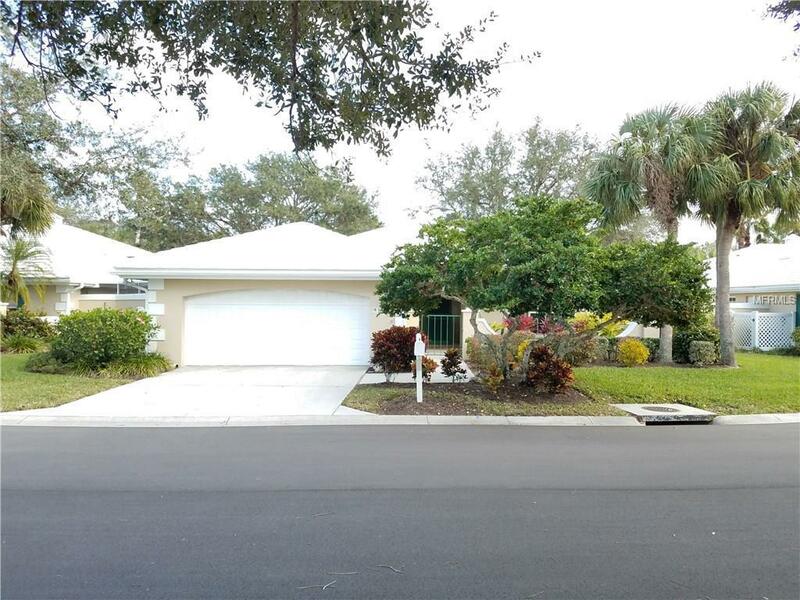 Community pool and club house only a short beautiful walk away and close to all of Venice & Sarasota County activities like the arts,world renowned beaches, fishing,shopping,parks,sports. Come see for yourself and you will agree; the bang for your buck is incredible. Stop and realize your dream is now possible. Do yourself a favor and make an appointment to view this private and secure home today. Plantation Golf & Country Club. Maintenance free community. Pet Restrictions 1 Dog Or Cat 30 Pound Max.